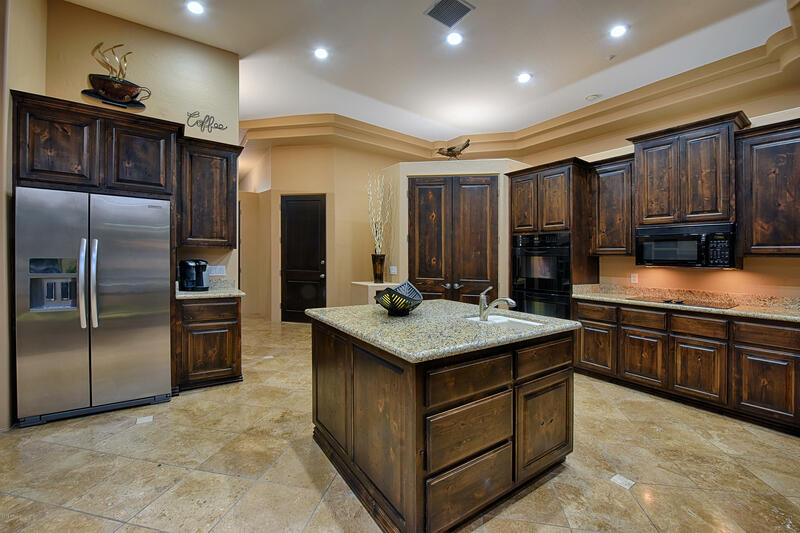 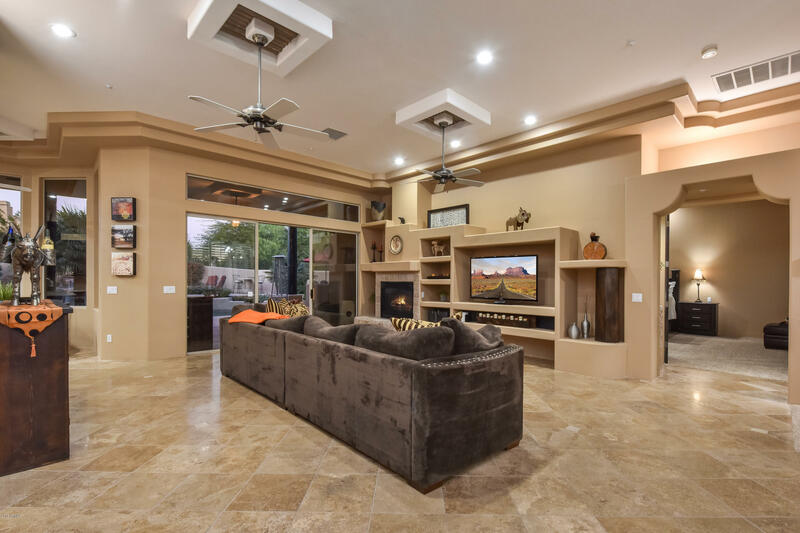 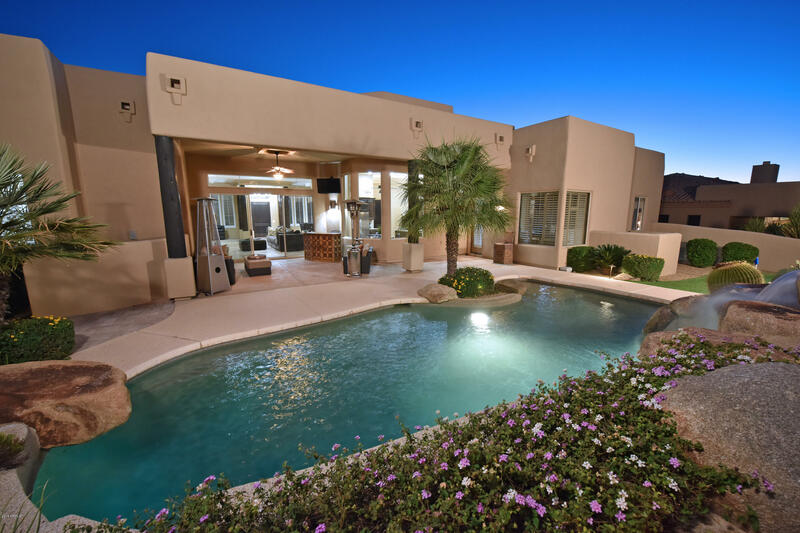 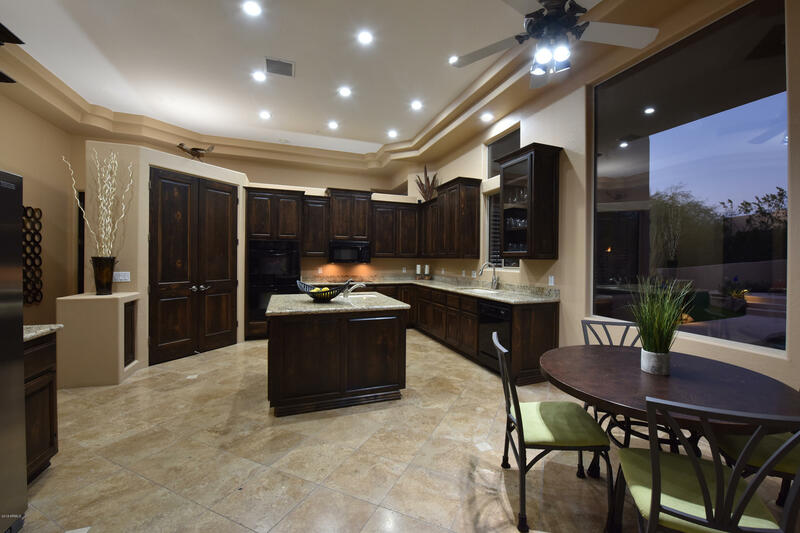 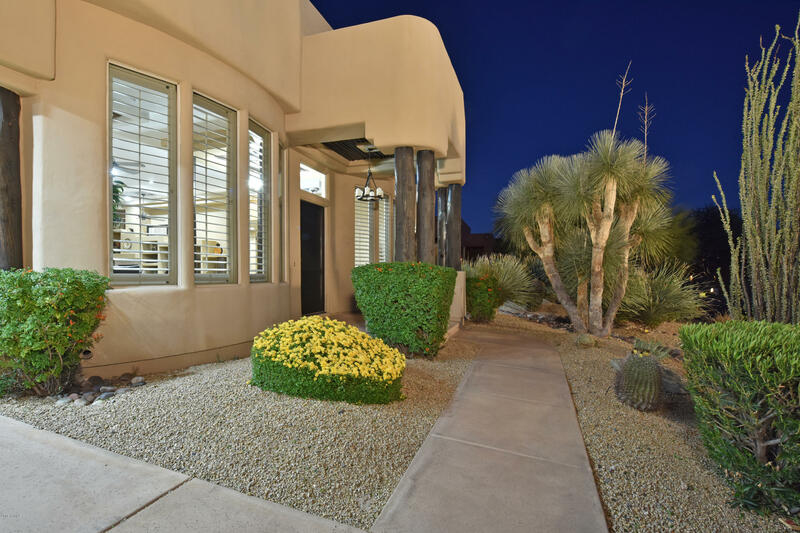 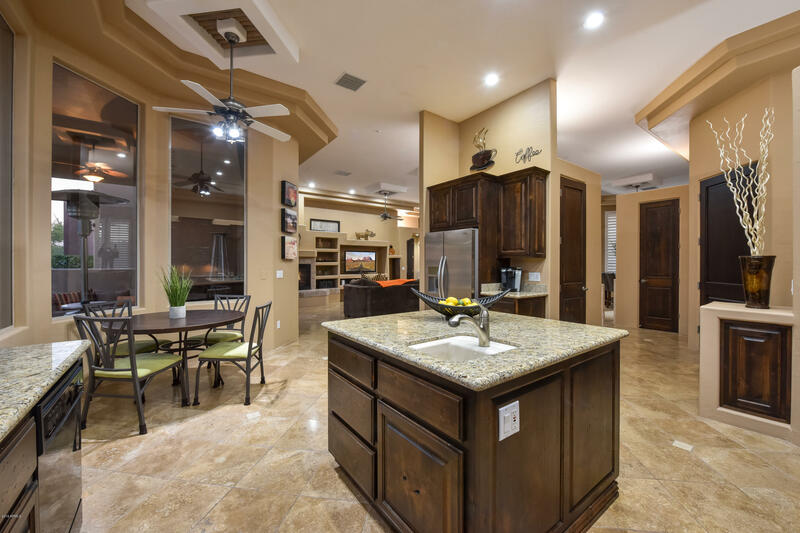 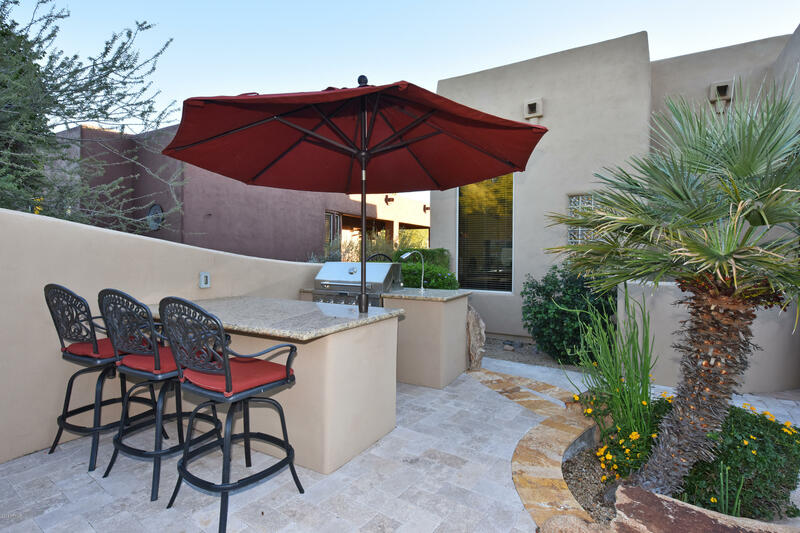 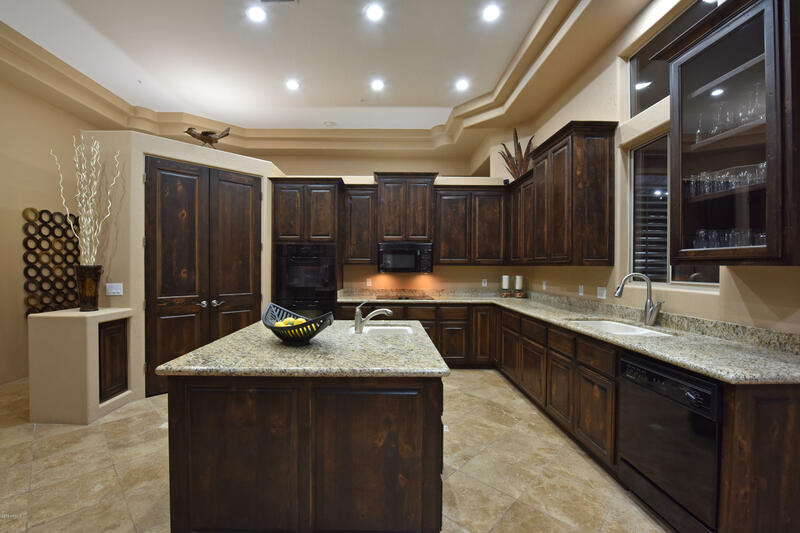 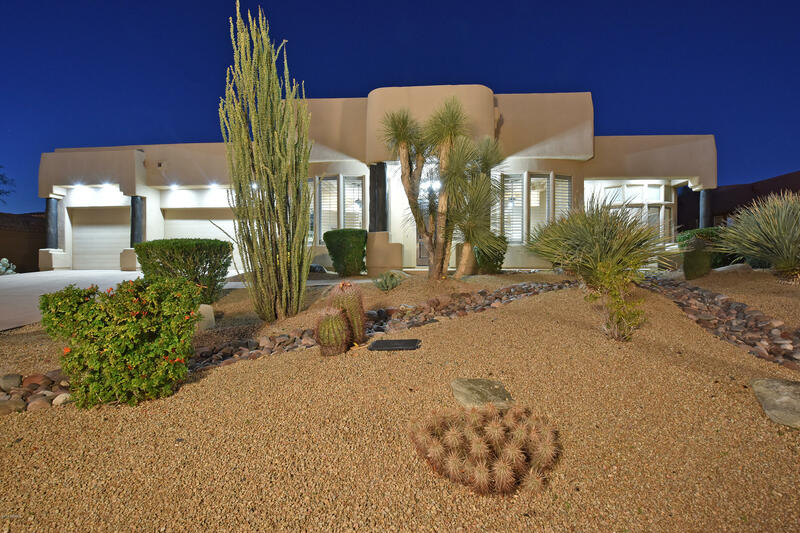 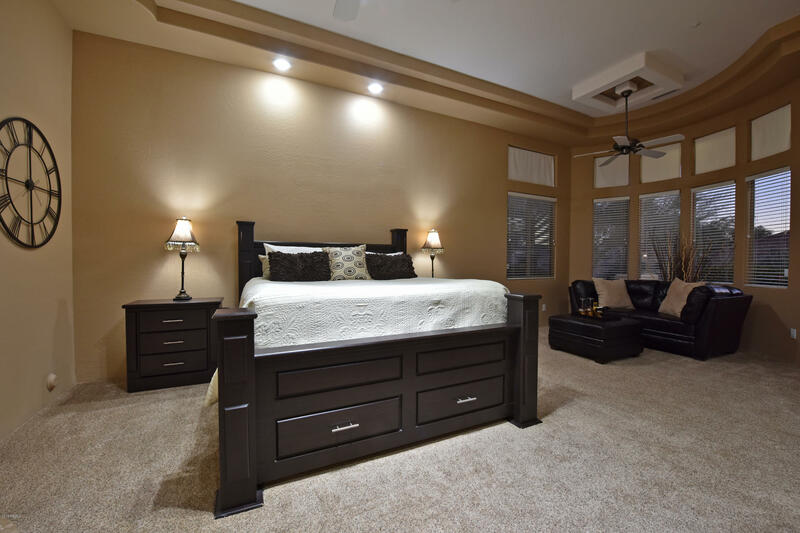 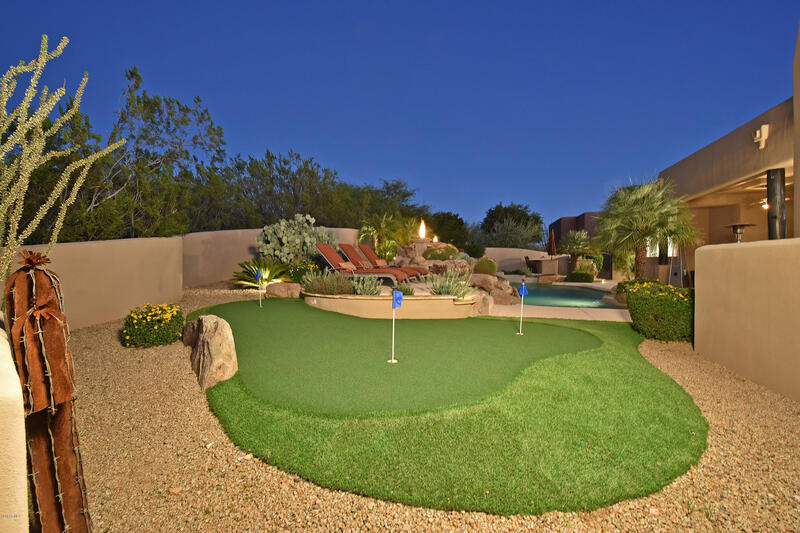 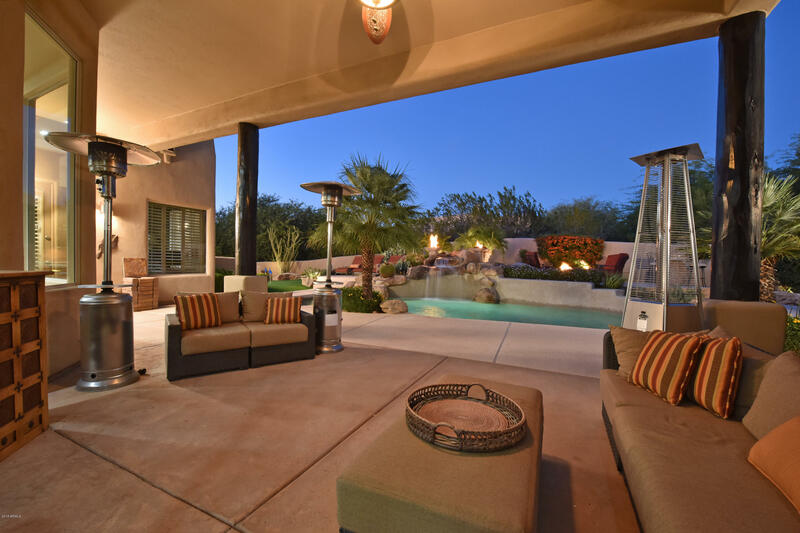 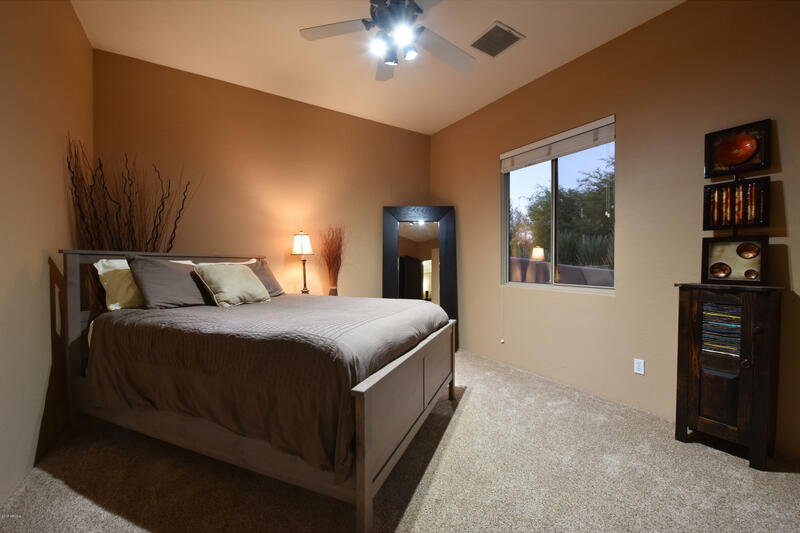 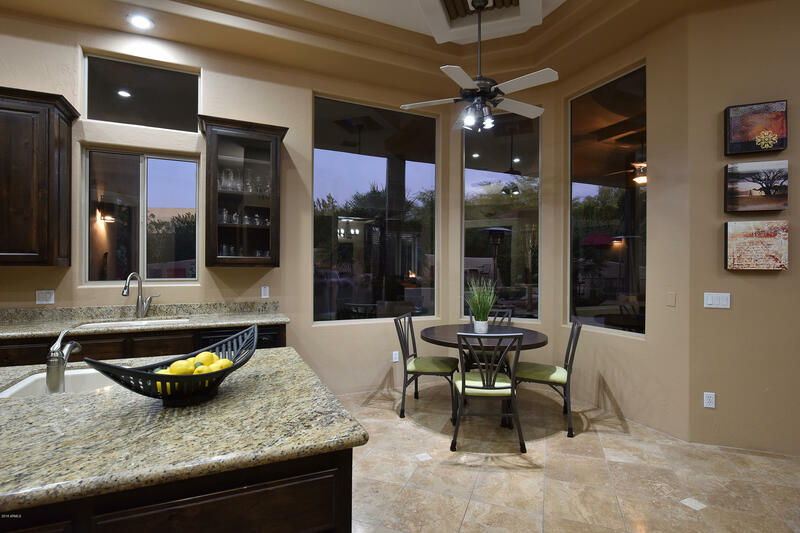 Warm, sophisticated style defines this custom home in the guard-gated community of Candlewood Estates at Troon North. 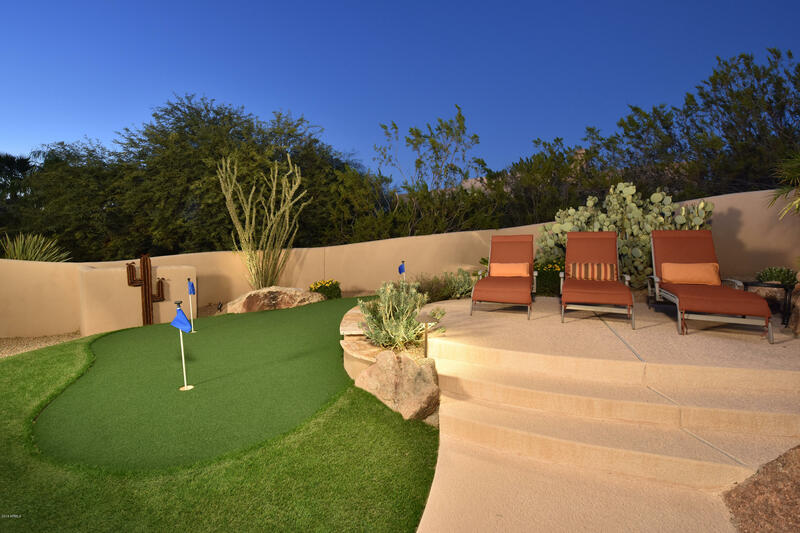 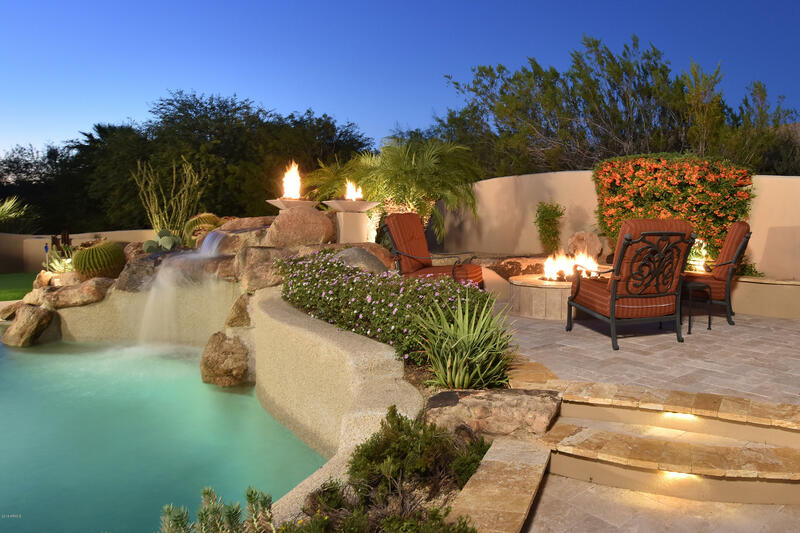 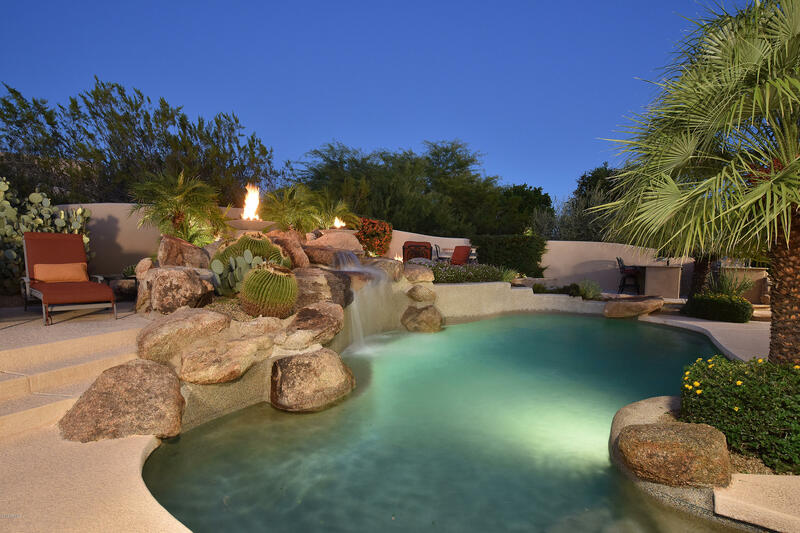 The resort inspired backyard centers around the lagoon style pool with cascading waterfall flanked by columned fire features, spa, putting green, built in BBQ and bar, elevated lounge area with fire pit, and large covered patio perfect for dining and entertaining. 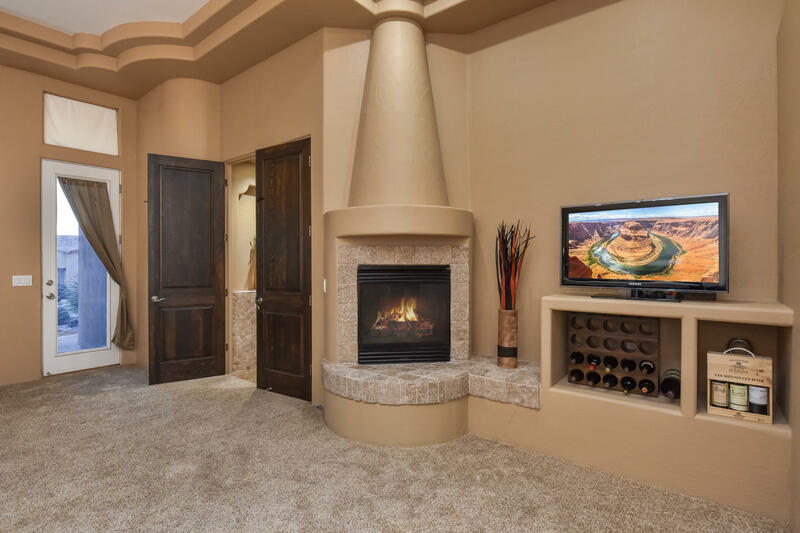 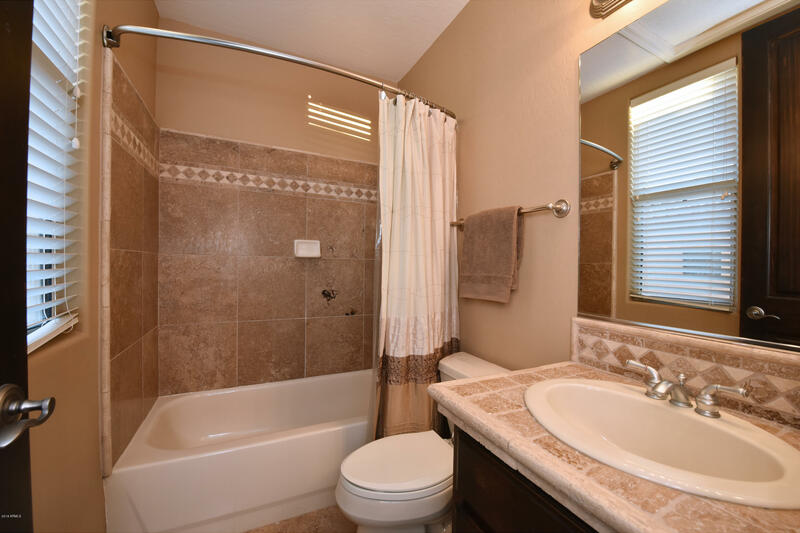 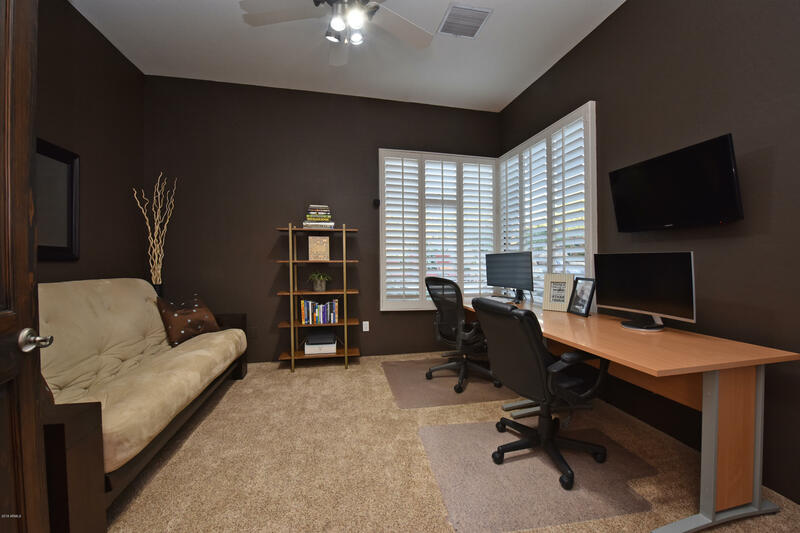 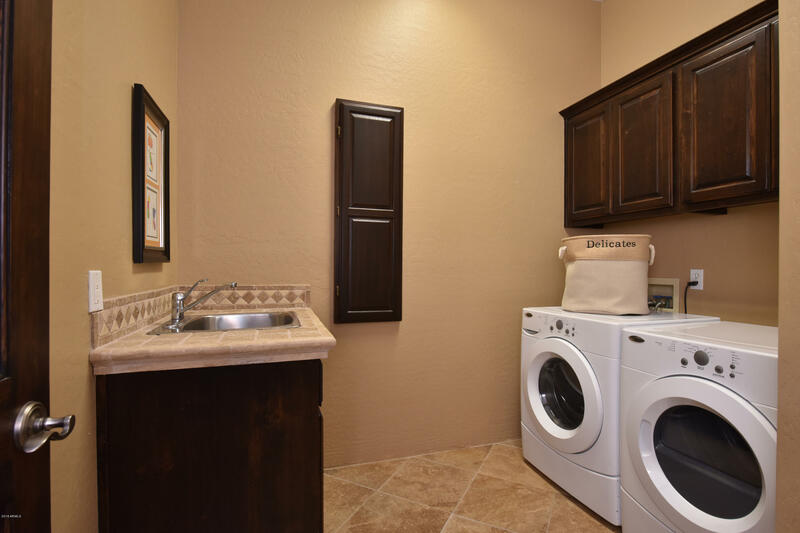 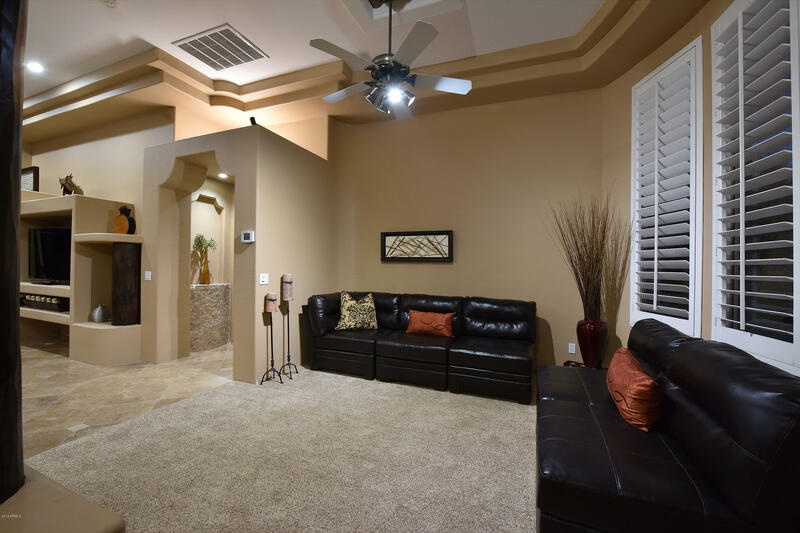 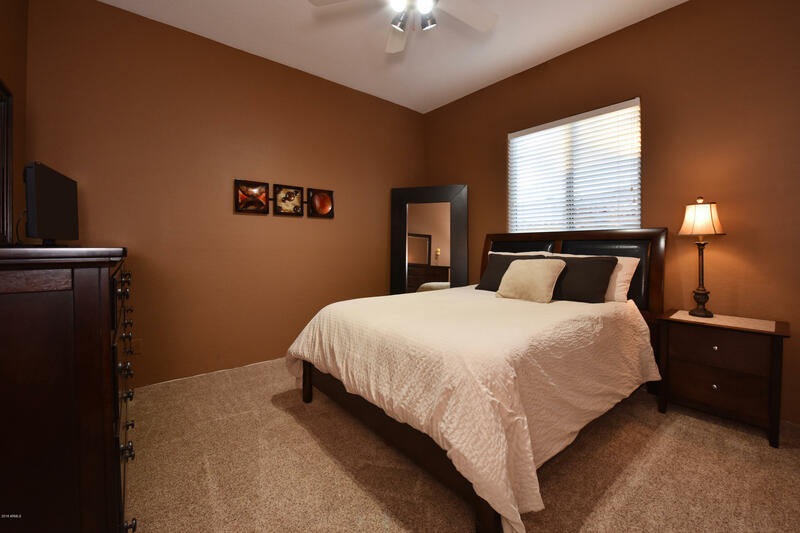 Inside the home you will find an open great room floor plan featuring three bedrooms plus a den, three and a half bathrooms highlighted by a soft Southwest style. 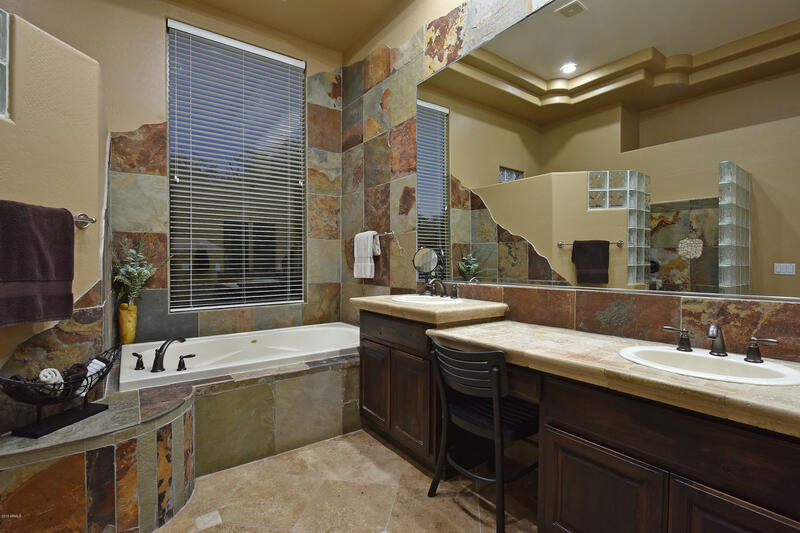 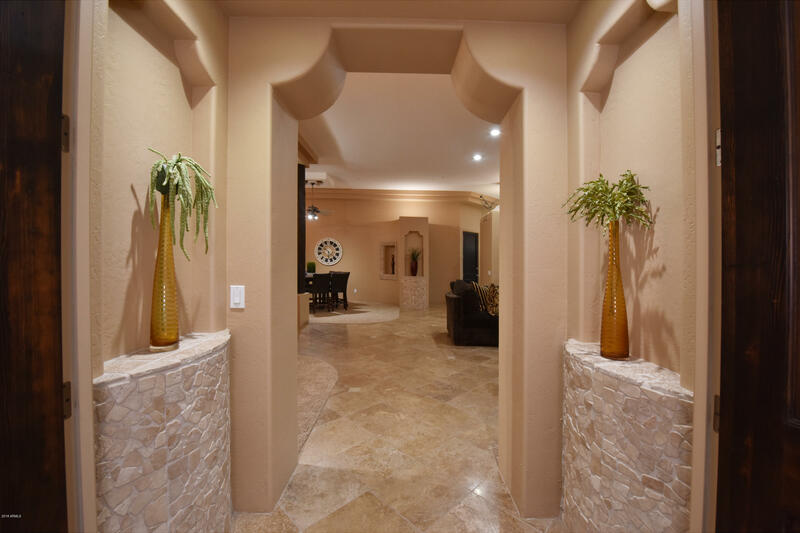 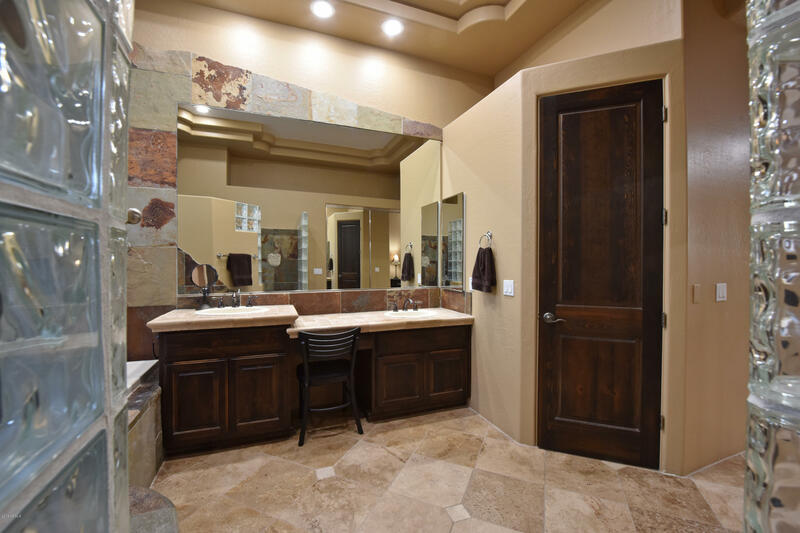 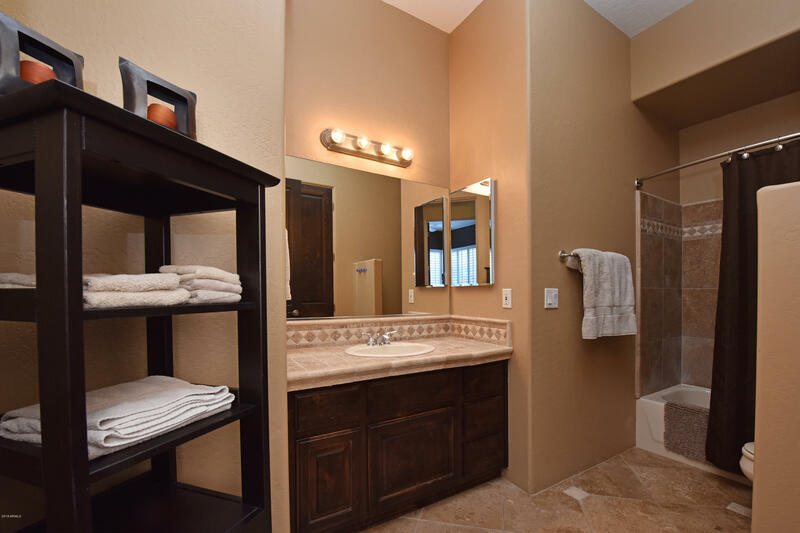 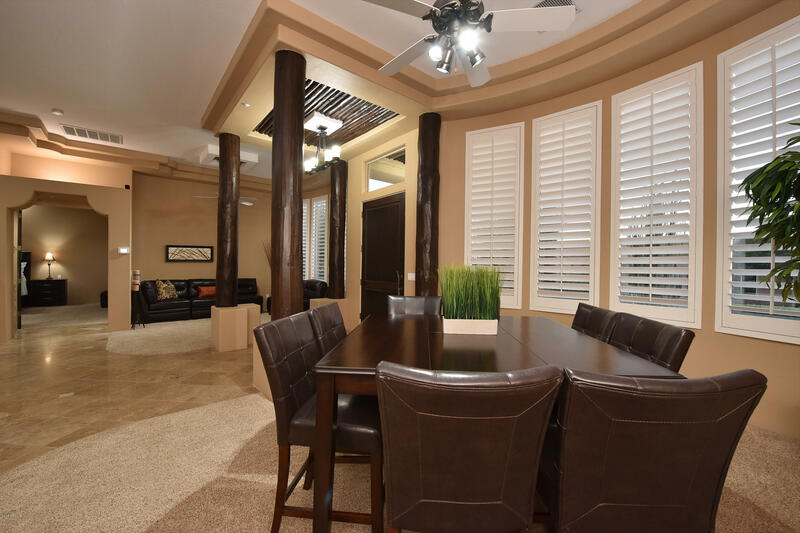 Travertine floors, natural stone bathrooms, dark wood Vega column accents with matching alder wood cabinetry, coffered ceilings, and plantation shutters help define the interior styling. 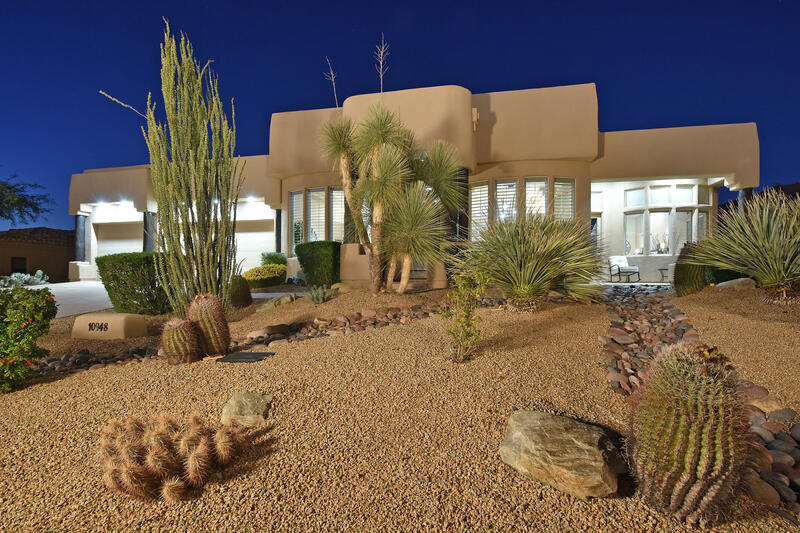 ARMLS Listing Data last updated 4/26/2019 1:38 AM MST.